NHL News : Bruins' Halak steals another start from Rask! 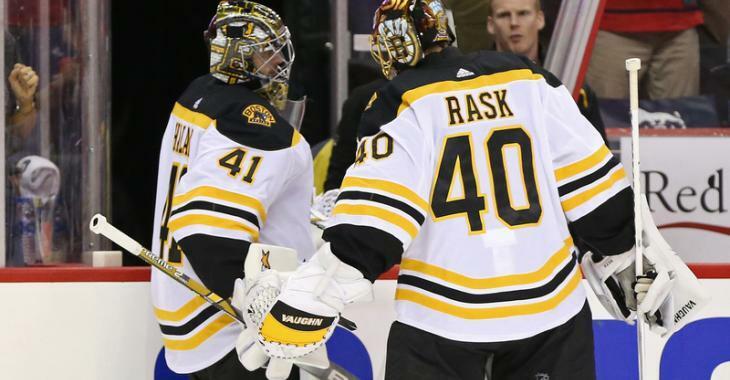 Bruins' Halak steals another start from Rask! Coach Cassidy makes it official! When the Boston Bruins signed veteran goalie Jaroslav Halak during the summer, the motivation behind the move was to not only provide the team with a quality backup netminder, but also to find someone who could push starter Tuukka Rask. Well, Halak sure has pushed Rask, so much, that he has yet again landed on top of him. On Wednesday, Bruins head coach Bruce Cassidy made it official that Halak will get the start on Thursday as Boston faces the Vancouver Canucks. After Halak's win over the Philadelphia Flyers last Thursday, Cassidy revealed to media members that there's nothing that will hold Halak back from starting more games for the Bruins. "We told Jaro, 'Listen if you come in and play we’re not going to limit your starts,'" said Cassidy. "We’ll allow the competition to evolve, and he’s done a real good job." "We do that at the start of the year for – we’ve done it here for years and just to work Tuukka’s [Rask] starts in because he’s been the number one," Cassidy continued. "But if Jaro’s able to push him and if and eventually take the job if and when that happens then we’ll look at that. We’re going to try to keep it as balanced as possible early on, and then like we said if one separates himself from the other like every other position here then we’ll allow that to evolve." We have proof again today as another start has been announced for Halak, who also faced the Carolina Hurricanes in a victory again after that, and started in net against the Nashville Predators over the weekend. And even Rask agrees.. After starting in Monday’s win over the Dallas Stars after two games on the bench, Rask readily admitted the Bruins needed to ride Halak. Halak surely deserves this one.